Prof. Victor D. Phillips, ecologist and bioresources management specialist, is the fourth dean of the University of Wisconsin-Stevens Point’s <?xml:namespace prefix = st1 ns = "urn:schemas-microsoft-com:office:smarttags" />College of Natural Resources, USA. 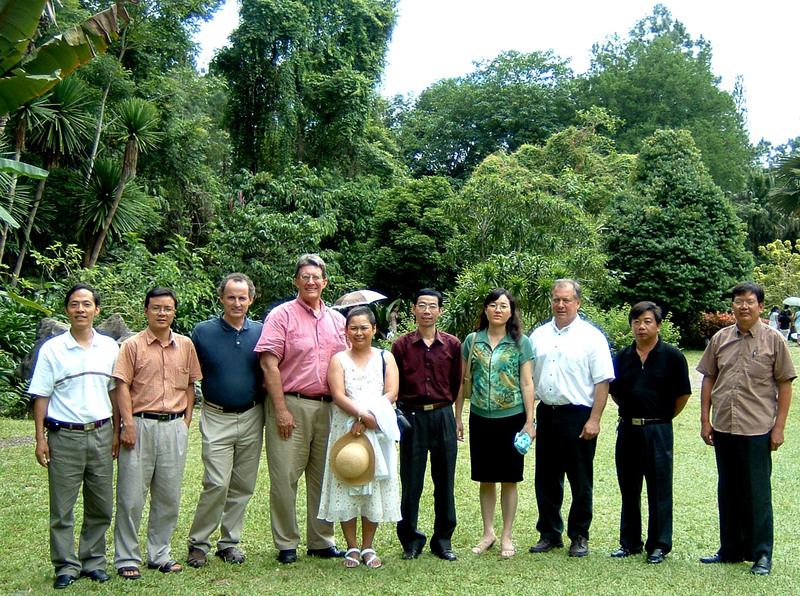 During July 15 and July 17, Prof. Victor D. Phillips made a second visit to XTBG, heading up a delegation. At the beginning of this year, a Memorandum of Agreement for collaboration was signed between XTBG and the University of Wisconsin-Stevens Point. During their tour, both XTBG and the College made an overview about themselves. They also expressed their expectations for further and deeper cooperation. The delegation looked around XTBG scientific facilities like the library, herbarium, seed bank, and some living plant collections like the palm collection and the ex situ conservation area of rare and endangered plant species within the Garden. The delegation was sent by American Ministry of Agriculture.